One project I took on during my time in Vermont was to blog about the different dive bars in Burlington. I started at the bar in my neighborhood, T Ruggs Tavern. T Ruggs was a pretty nice dive bar, with a few flat screen televisions, a jukebox, a backyard patio with Christmas lights strung around, and a pool table. Even with all the perks, this bar was the kind of place where the bartenders knew you by face and regular customers consisted of a group of the same 70-year-old men taking up half the bar’s counter space to rant about sports and swap tales of better times. It had that neighborhood feel, the feel of—oh, you know—a dive bar. But when I showed up with my camera, questions were raised. Mostly people were just curious, and some requested that I photograph them. They asked why I was taking pictures and I said that I’m a blogger looking to write about the best dive bars in the area. Saying this, as I soon realized, was the equivalent of me wrapping my body in raw bacon and throwing myself to the lions. I ignorantly replied, “Well yeah! It’s a nice dive bar, but it’s still a dive bar. It’s a neighborhood bar!” The bartender glared at me and stalked off to the other side of the bar’s counter to talk about what I had just said with a few of the regular customers. At this point, one elderly dude decided it was chill to put his arm around me and tell me “how it is around here.” He said that to call this place a dive bar was to insist it as dirty, grungy, and attractive to a trashy crowd of people. I was surprised to hear this. I also felt embarrassed to have offended my neighbors like this. I liked T Ruggs a lot and generally prefer a dive bar to any other type of bar/club on most days. While I admit that a lot of dive bars are kind of dirty, I didn’t think that was part of the actual definition of a dive bar. As I was reading this, the bartender came back over to me and asked, “If this is a dive bar, what do you consider NOT to be a dive bar?” I responded with the first local bar name that popped into my head, Nectars. Anyone who has ever been to Nectars would know that it has two levels of “club” space, the first of which is generally used for 80s and 90s nights, while the lower floor will either have live music or a DJ. In my opinion, if a bar is hoppin’ enough to host decade themed parties every weekend and a DJ, it’s not a dive bar. It’s not the place where everyone knows your name. It’s not the place you go to on a casual Wednesday after work. Honestly, I was so confused. I told her what my understanding of “dive bar” was when I said that T Ruggs fit the category, and I apologized for offending anyone. Now the older guys were kind of teasing me, saying I come in here and mess things up because I don’t know any better. I considered referring back to my Wikipedia definition, but then thought better of it. And so that ended my pursuit of the best dive bars in the town, because who’s to say what a dive bar is anyway? Count it amongst those words that carry different cultural definitions, even across our very own country. 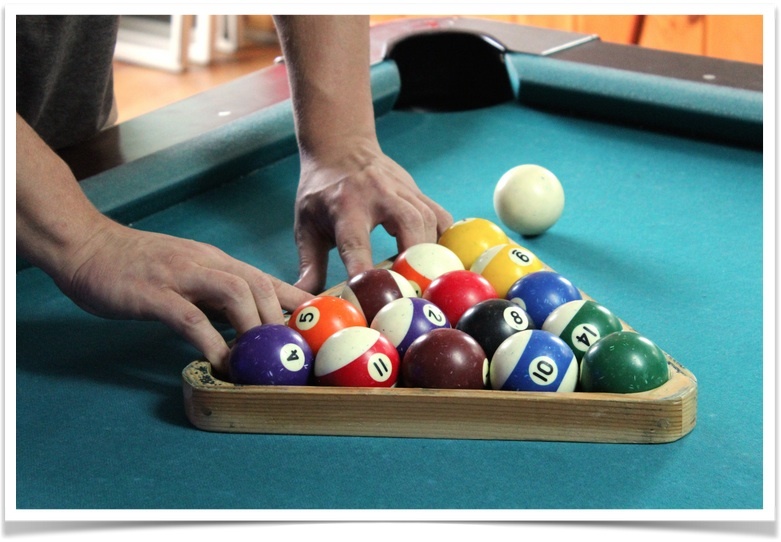 Regardless of how you define a dive bar, check out T Ruggs if you’re ever looking for a laid back neighborhood bar with a pool table and regular goers that aren’t afraid to give their two cents.